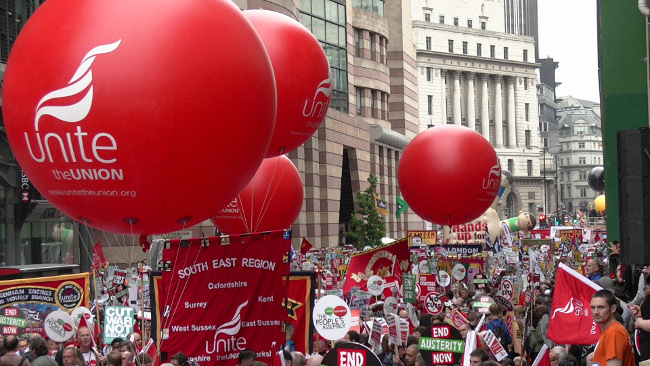 By any measure it has been a mixed few months for the trade unions in Britain. For the first time in almost 20 years the likes of Unite, Unison and RMT face a Tory majority in Parliament, swept into power by the failure of Labour’s former leader Ed Miliband to convince voters that the centre-left party was capable of leading the country. At the same time Jeremy Corbyn, a formerly obscure Islington North MP, has become leader of Labour, placing the hard left in a position of control in the party for the first time since Tony Blair became leader of the opposition with a promise to govern from the centre. “What we have in the union movement, for the first time in a long time, is a leader of the opposition who can say what he believes,” said Mark Serwotka, general secretary of the Public and Commercial Services Union (PCS), a trade union for civil servants. He was standing with the Right Dishonourable outside of the National Gallery in London’s Trafalgar Square, a public portrait gallery that had been enduring a strike for a hundred days on Thursday as staff dispute plans to outsource jobs. Serwotka, who was blocked from voting in the Labour leadership election in what he termed one of the “desperate last acts” of those opposing Corbyn, said that discussions with Gabriele Finaldi, the National Gallery’s new director, were bringing the strike to a close. 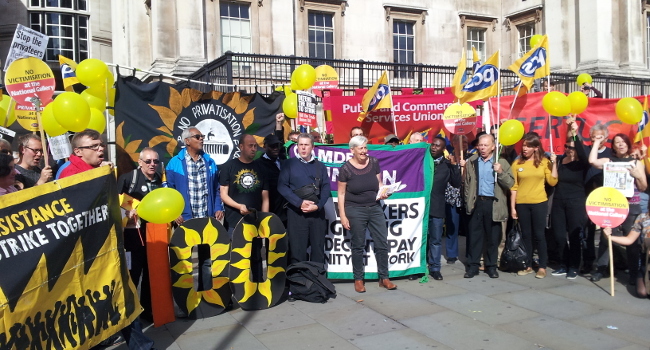 But even if the National Gallery strike may be coming to a close, Serwotka and his counterparts in other unions face a bigger battle on their hands: Fighting a Trade Union Bill that could reduce the powers of the unions to their lowest point in Britain’s post-war history. Among the provisions of the bill are attempts to establish voting thresholds that must be met before unions can call strikes, limits to picketing, and the use of agency staff to fill in for striking workers. Serwotka told the Right Dishonourable that it was “fairly clear” the Trade Union Bill would make it through Parliament. “The way we’ll defeat the Trade Union Bill is by making it an issue for the 6.5m trade union members,” he said, a figure that can be traced to a government report from 2013, which points out that in 1979 the trade unionists numbered 13m. The PCS chief believes that when people feel their incomes are under threat it will galvanise public support against the bill, especially when combined to other forms of public welfare such as tax credits. Len McCluskey, the head of Unite, has also since attacked the Trade Union Bill’s plans to make striking workers wear armbands, which he said echoes a Nazi policy in the concentration camps of Dachau, language which illustrates the ferocity of the coming fight. For the heads of the trade unions rebuffing the bill may prove a tougher and longer battle than the 100 days at the National Gallery. And with five years of Tory government on the cards it may be the first fight of many with David Cameron’s second ministry.